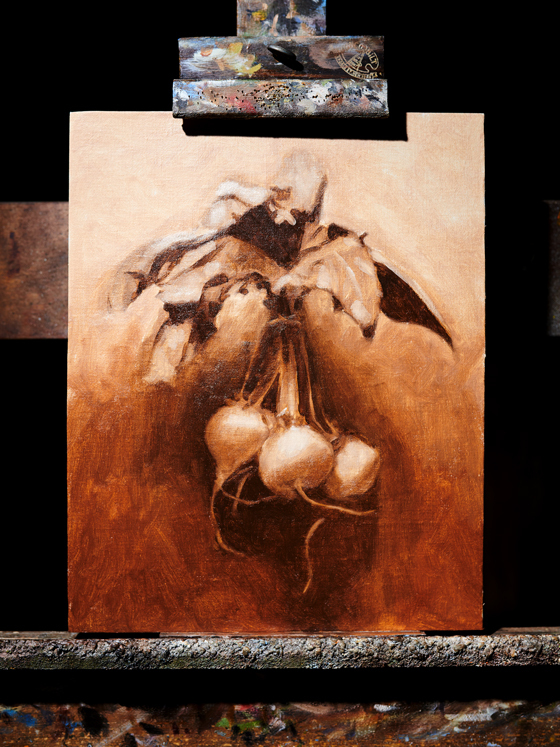 Here’s a quick post to share what my underpaintings usually look like. Sometimes I go pretty tight and detailed but mostly I’m keeping this stage fairly loose. It’s a fun stage to feel out the painting, work out the placement and let the brushwork be more expressive before developing things more in the successive layers. In most cases I’m using burnt sienna or burnt umber and lead white. Keeping the under layers warm has an influence in the following layers and I will often let some of it remain visible as I work to complete the painting. I can’t wait to throw some colour on these beets soon.